HOW DO OUR PRICES STACK UP? 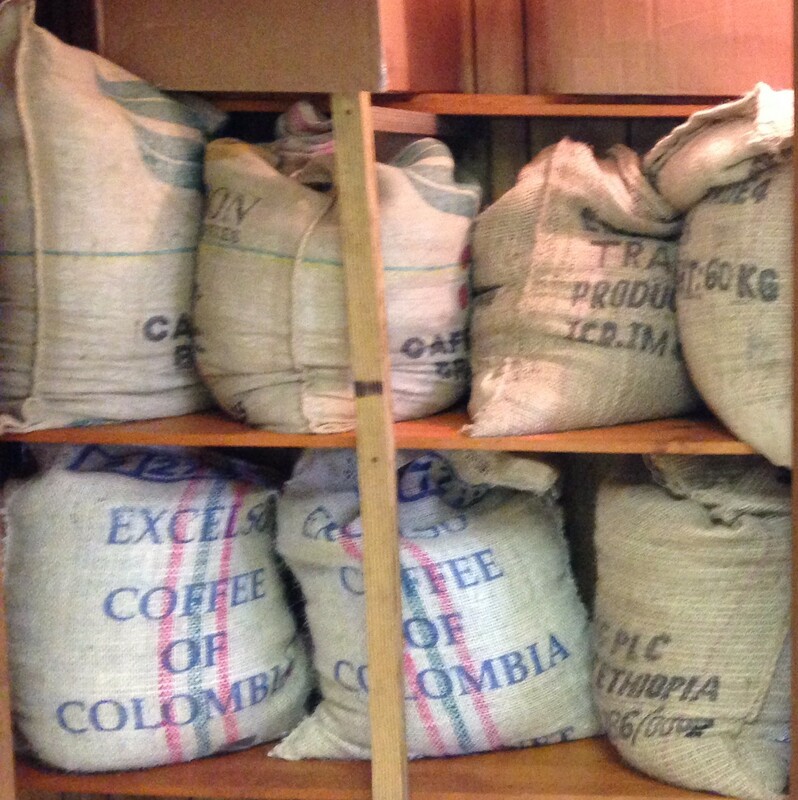 We've compared the prices of other fresh-roasted coffee within a 100-mile radius of Centre. The average price was $10.60 for 12 ounces of coffee! Even the cheapest coffee we found was $9.00 for the same amount. We're proud to say that Deep South Coffee Factory comes in at the very bottom at $8.00. Of course you can find cheaper coffees at the supermarket, but they likely a) use cheap, low-grade beans and/or b) roast their coffee months in advance in a huge factory somewhere. HOW DO WE KEEP OUR PRICES COMPETITIVE? 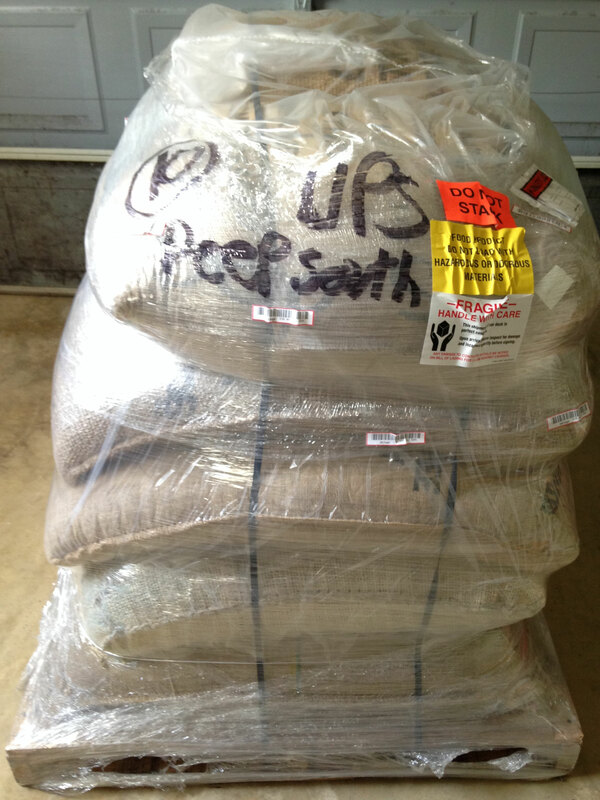 Pictured below is 1400 pounds of our bulk green coffee! We buy it by the pallet to reduce shipping costs. We then pass those savings on to our customers.